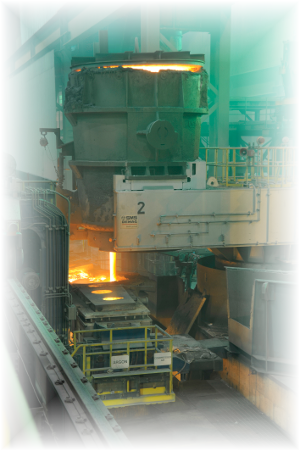 The Structural and Rail Division became a prime source of high-quality steel products in 2002, and has since grown into SDI's second-largest operation. Initially focused on production of wide-flange beams, this division has adapted to customer needs by also offering a variety of railway products. Plant Capabilities A description of the various products provided by our mill. Recycled Content (LEED) A letter from the Manager of Product Quality. MSDS Material Safety Data Sheet for materials produced at our site. Conflict Mineral Declaration Declaration regarding use of conflict minerals by steel operations of SDI. ABS Certificate for Quality Assurance Program. Terms and Conditions Standard Terms and Conditions of Sale for Structural and Rail Division. View contact info and links to our other division websites.